Season artichokes with salt and pepper, and nestle 1 garlic clove in the center of each artichoke half. Drizzle generously with extra virgin olive oil (it’s okay if some of the olive oil pools in the center or overflows onto the foil). Close the foil around artichokes. Remove the artichokes from foil. Arrange on a serving platter, generously drizzle the roasted garlic-dill vinaigrette. 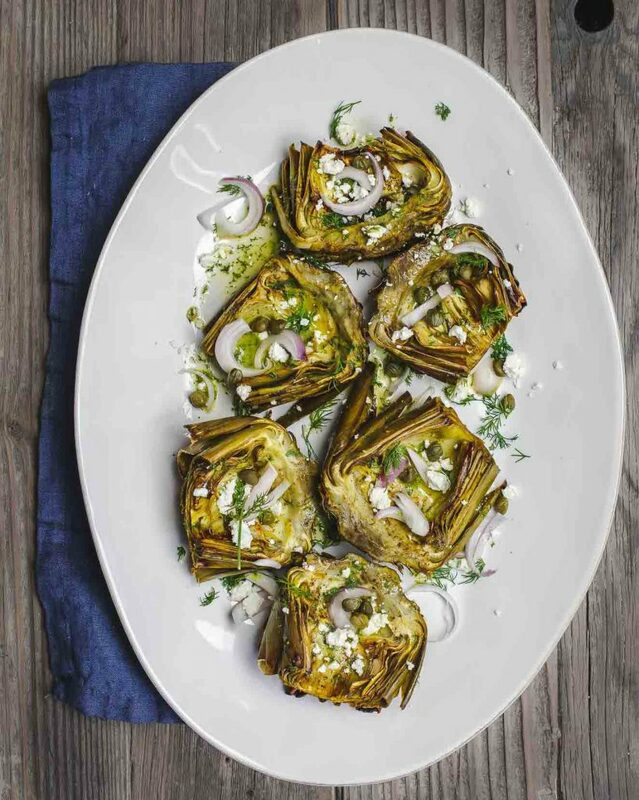 Top with shallots, capers and crumbled feta cheese and one last drizzle of EVOO on both artichokes and around the platter for an extra visual punch. Enjoy!